(Hong Kong, 30 August, 2012) On 28 June, 2012, Ocean Park’s SkyStar helium balloon descended at a rate faster than normal and landed outside its normal landing spot. As a result of this incident, both EMSD and Ocean Park conducted detailed and independent investigations to find out what happened, as well as to identify the causes. Today, EMSD has made an announcement on the findings which we have reviewed. According to the report issued by EMSD, the incident was caused by a leakage of helium gas from the balloon, as a result of an internal small-areas separation of the central part of the rip panel cover-strip from the balloon envelope. EMSD’s report further notes that this problem would be rather difficult to detect during routine inspection procedures. The Park has appointed an American ride safety consultancy firm, PLH Consulting, to conduct an independent investigation on the SkyStar incident as well. 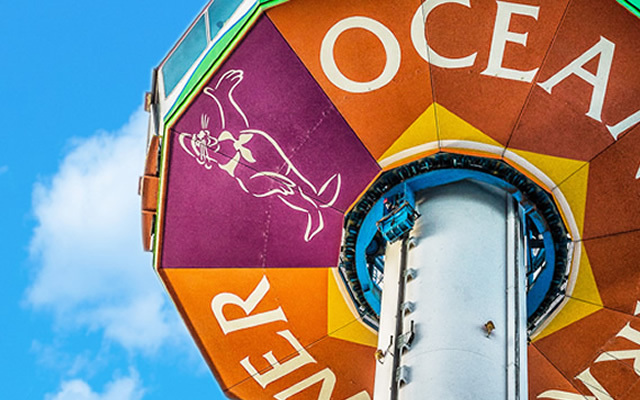 Their report confirmed that Ocean Park had already fully complied with the manufacturer’s routine inspection and maintenance schedule and procedures, and that the Park’s operation, maintenance, and cleaning of the balloon are ruled out as causes of the incident. To prevent similar incidents from occurring in the future, the manufacturer has issued a bulletin informing all other theme parks or organizations operating similar balloon rides of new periodic inspection procedures which will allow the adhesion at the central part of the cover-strips to be inspected and strengthened. In addition, the manufacturer has already proposed to replace the use of glue to cover the rip panel joint with other mechanisms in its latest balloon models.